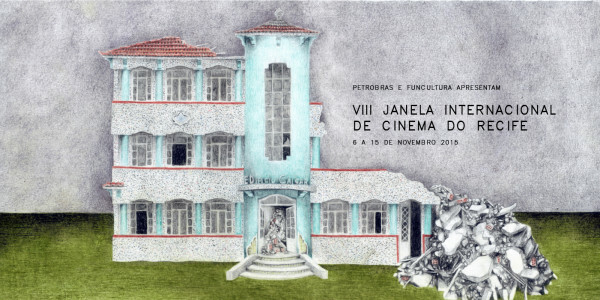 During the 12th and 13th of November 2015, Caroline Pires, CEO of Nerdeo, lead a visual effects workshop for low budget film at the VIII Janela Internacional de Cinema film festival in Recife, Brazil. The candidates we’re hand selected filmmakers and producers from the region, who wanted to not only know more about visual effects but also how to procure them with a low budget. The workshop comprised of two days, one which was more theoretical, showing case studies of both low budget and blockbuster movies and the other a more practical session of shooting and collecting the correct data for the use of your vfx artists later. The use of Nerdeo as a project advertisement and artist sourcing platform was introduced to the workshop attendees and very well received. So well, they used their exclusive private BETA invites to create profiles and a project on the platform. Check out the project “Fãtásticos (Fantastic)” created by Henrique Spencer and directed by Andre Pinto when we go public. We beleive there will be some more Brazilian projects arriving on our platform very soon.